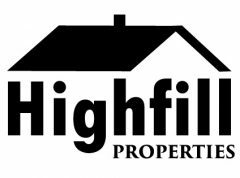 Highfill Properties has been developing new neighborhoods in Claremore and Rogers county since 2004. Our neighborhoods include homes in all price ranges, from starter homes to larger, custom homes. It takes the perfect piece of property to become a beautiful neighborhood, and we have the tools and experience to make it happen. As a lifelong resident of the Claremore area, my top priority is to see my community grow and develop. We plan to continue building neighborhoods for many more dream homes, maybe even yours.